"As it turns out, matters in the town of Covington are not settled. The rise of an ancient sea cult and an unexpected murder are only a few of the problems that plague the seaside town." Chapter Two, Murder Most Foul, continues the Seafallen story arc. The story begins in December 2018, and concludes in February 2019. Be sure to pick up all three months to complete this huge adventure featuring 9 maps and dozens of new npcs and monsters. This month we added a new Recipe For Adventure card along with the usual goodies of adventure cards, miniatures, and modules. 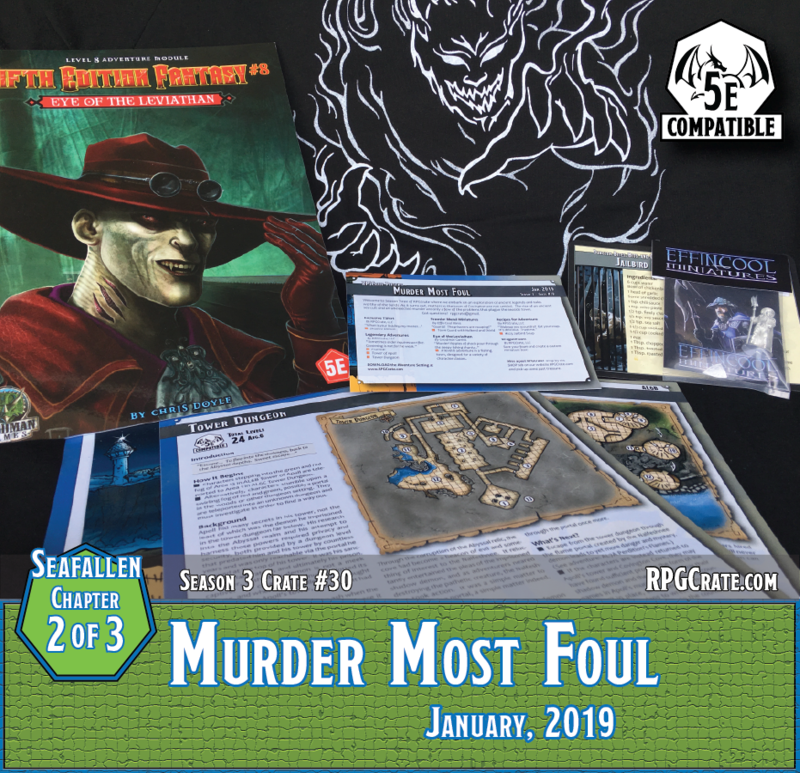 If you missed out on the January 2019 RPGCrate, grab one while they last - supplies are limited.